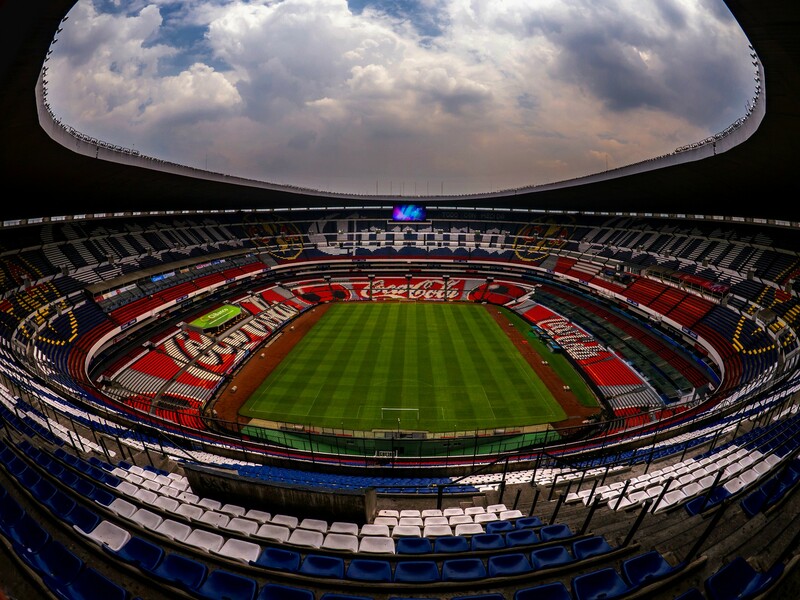 Mexico City, Mexico - On May 16, 2015, Panasonic Mexico announced that its LED large screen displays were chosen as the new video display system for the Estadio Azteca located in the southern, historic part of Mexico City. 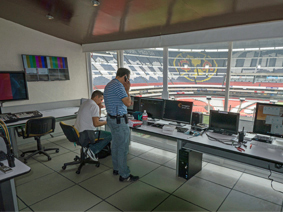 The system includes a pair of 220 square meters large screen displays and two ribbon-shaped screens installed at eye-level of the box seats. 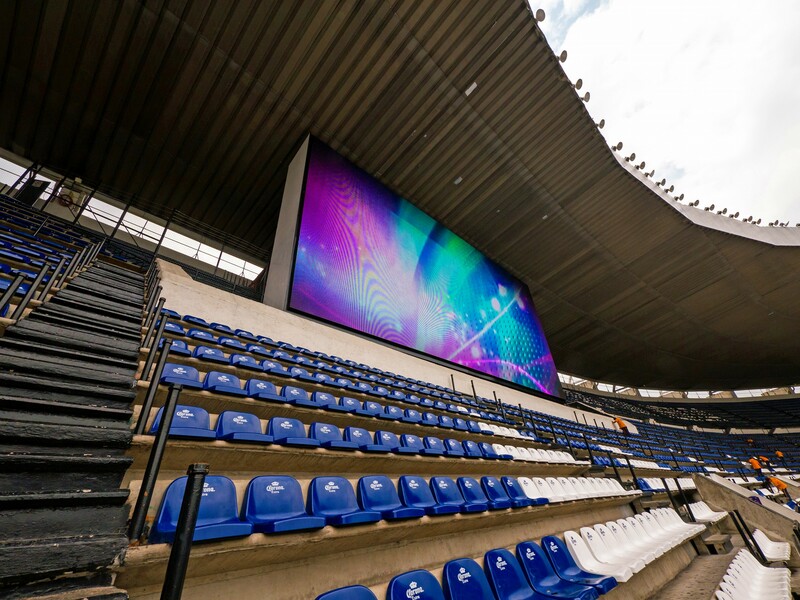 These state-of-the-art screens, the total surface area of which is equal to more than 746 square meters, will deliver innovatively new entertainment and a wealth of information in full HD quality. 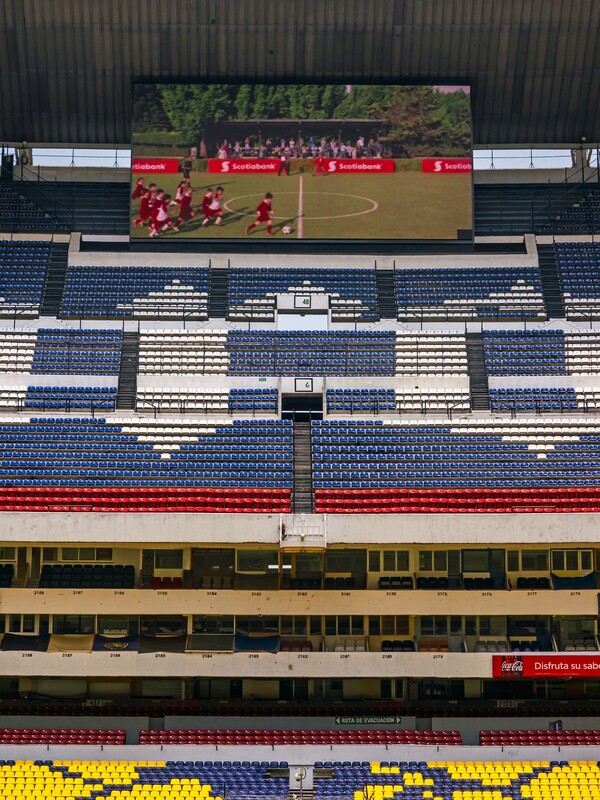 As part of the Estadio Azteca's renovation project, the video display system was refurbished to not only offer a better viewing experience for the fans, but also to provide new options for advertisers and sponsors at this stadium also known as the Colossus of Santa Ursula where many sports and music events take place. 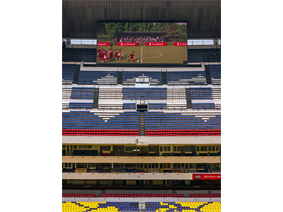 The Estadio Azteca already had a video display system that was installed back in 1998 comprised of phosphorous panels, which were also supplied by Panasonic. However, the new cutting-edge system will ensure that a wide-range of contents may be enjoyed by fans in all their glory. 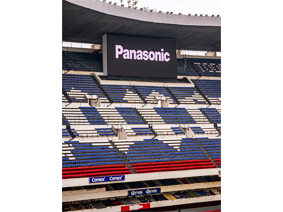 Panasonic Mexico's new B2B Integrated Solutions Division was appointed by Estadio Azteca to provide a system that offers Full HD picture quality, excellent versatility enabling the system to showcase different contents, and a reliable operation for years to come. 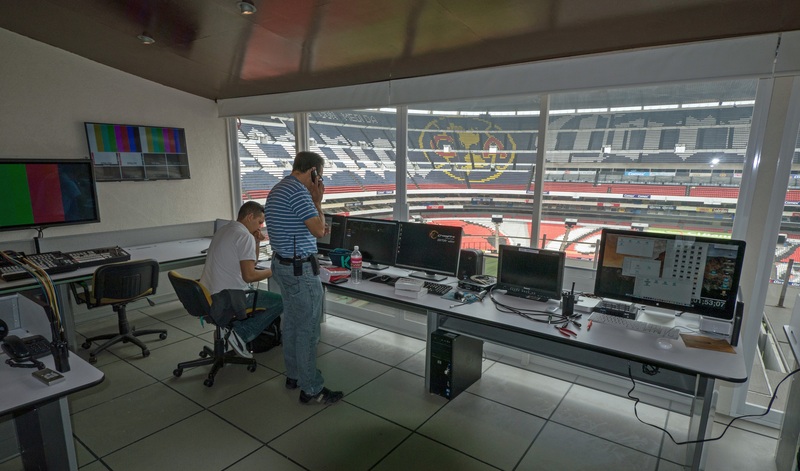 The system went live on Saturday, May 16 at the Liga MX's Clausura 2015 quarterfinals between Club América and C.F. Pachuca. 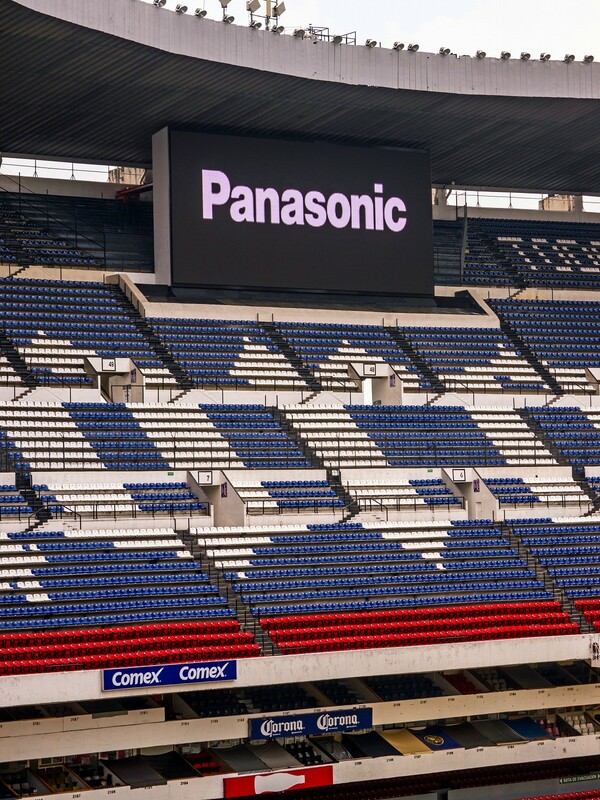 Panasonic has supplied LED display panels to numerous projects around the world. These projects include the NFL Philadelphia Eagle's stadium, the Lincoln Financial Field, Churchill Downs Racetrack, home of the Kentucky Derby, Charlotte Motor Speedway, which hosts NASCAR, and Indianapolis Motor Speedway which hosts the Indy 500. 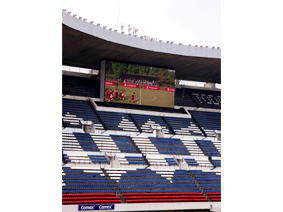 Two large screen display for the north and south ends of the stadium each measuring 10.24 x 21.44 meters. Two ribbon-shaped screens installed near the second tier of boxes, 0.96 x 160.0 meters each. Cutting-edge LED panels with 20mm pixel pitch. Image optimization software with virtual resolution and extensive range of effects. Ventilation system for air circulation. The current system (2015) has replaced the phosphorous panels installed in 1998 by Panasonic. Opened on May 29, 1966. Staged the FIFA World Cup in 1970 and 1986, including the opening and final matches for both championships. Also organized various sporting events such as the World Boxing Championship, NFL American football games, and final matches of numerous international and domestic football tournaments. 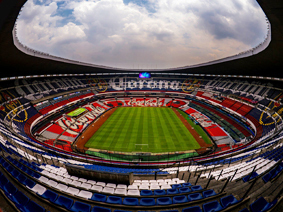 The stadium has also welcomed shows by international artists such as Sir Paul McCartney, Michael Jackson, and U2. 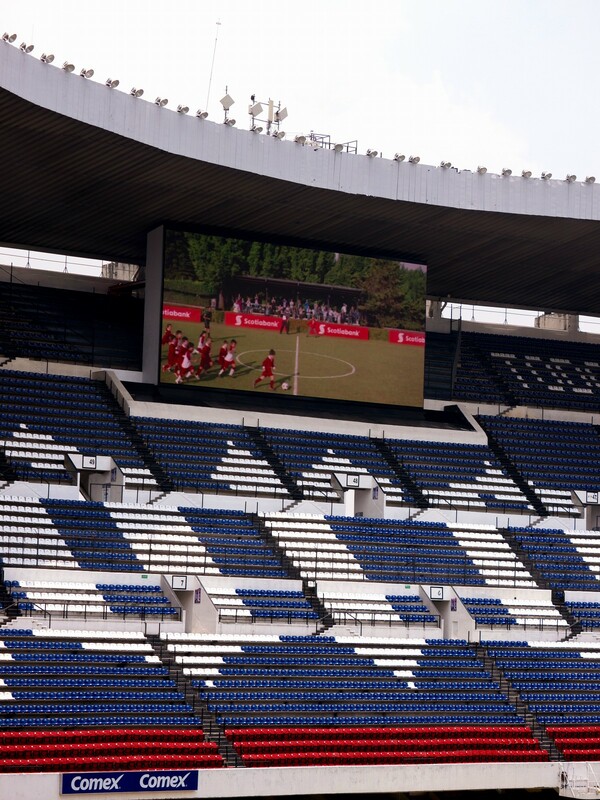 Pope John Paul II also visited the stadium during his visit to Mexico in 1998. Panasonic is introducing a brand-new spatial performance solution VIRTUAL STAGE MIERVA to the HARUMI FLAG Pavilion, a condominium sales center of HARUMI FLAG, a new town to be born at the site of the Athlete Village in Tokyo.